Awhile back I received a whole bunch of goodies from 3M to test out and review. 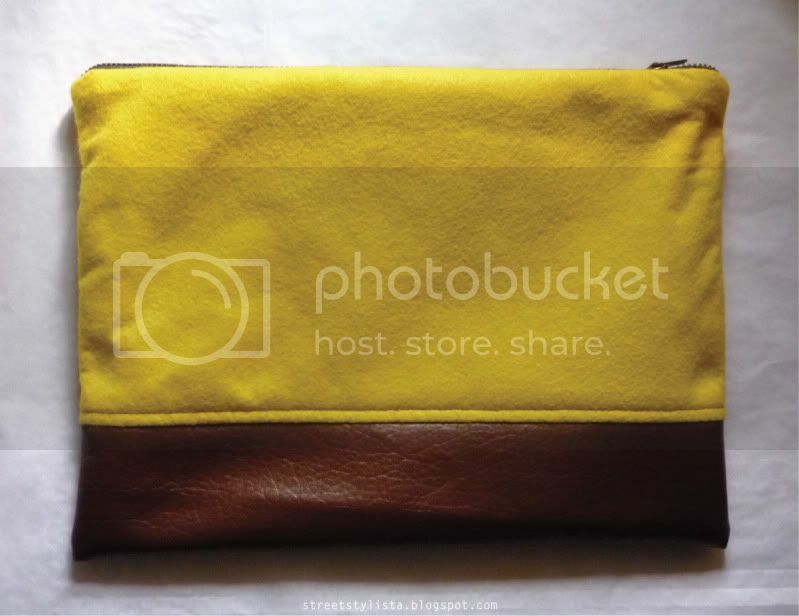 Since I had to give the product a test run, I figured why not make something in the process and in the end, I decided on a simple duo-tone clutch bag which was relatively easy to execute. 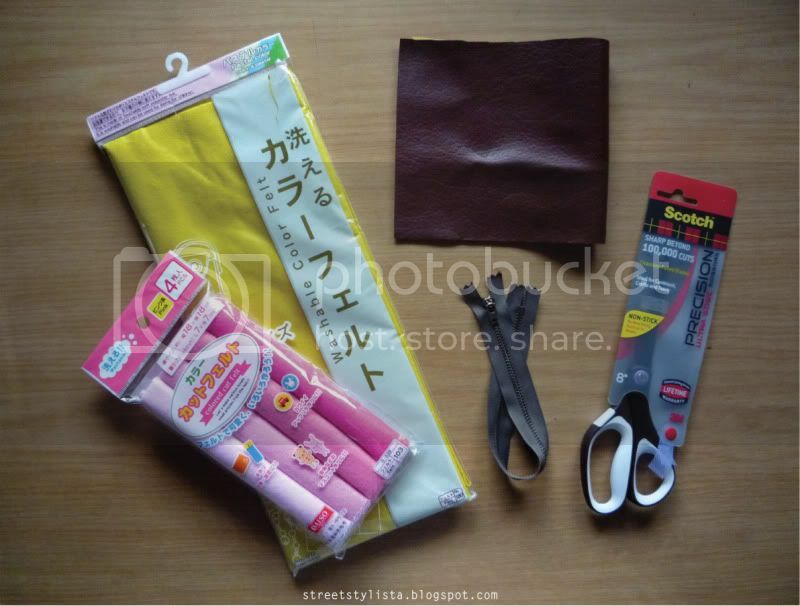 Some of the materials I used: Assorted Felt (from Daiso @ $2/pack), Faux Leather, Metallic Zipper & Scotch Precision Ultra Edge Non-Stick Scissors. 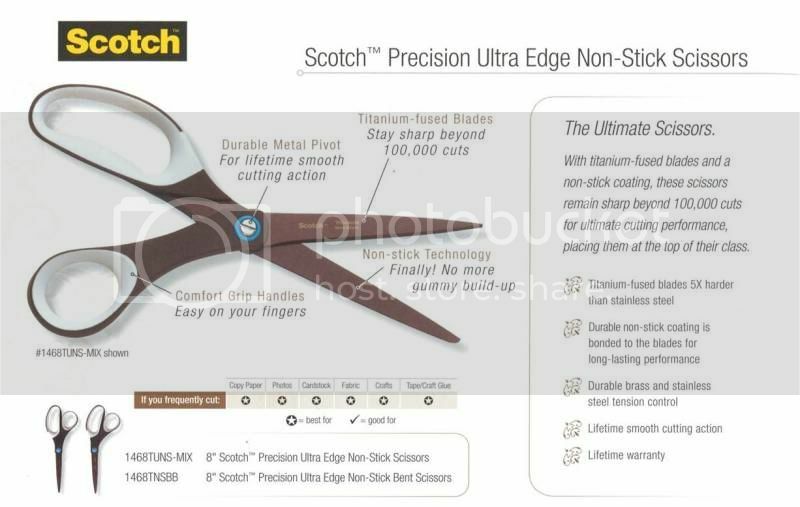 After making a simple pattern for the clutch, it was time to try out the Scotch Precision Ultra Edge Scissors. 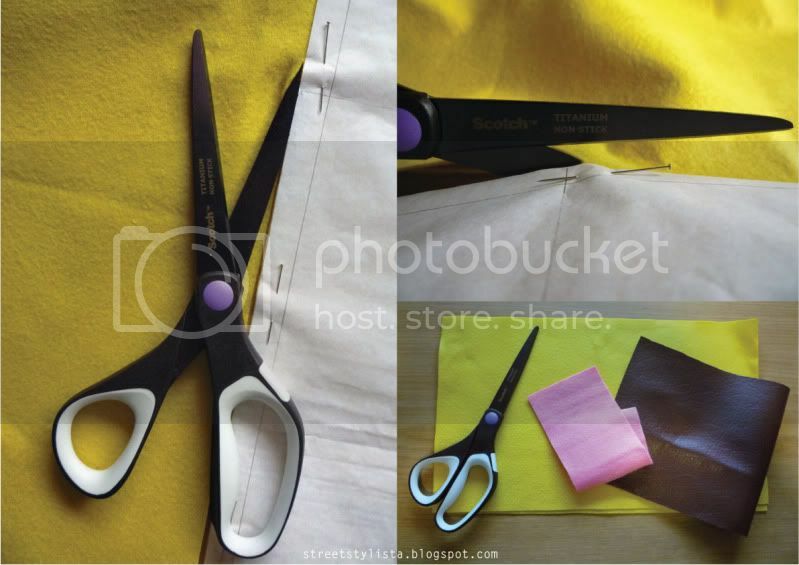 I used the scissors to cut out both the paper pattern and fabrics which was very convenient since I usually use separate scissors for paper and fabrics. Also, I was pleasantly surprised at how smooth the scissors cut through both the felt and faux leather. Another major plus, it's lightweight and has comfortable grip handles. I guess the only thing I was slightly dissapointed in was that the scissors probably isn't that ideal for all fabric types since I did try using it to cut jersey and it was alittle rough to cut through. However, overall I really liked how functional and convenient the scissors was and would definitely recommend it for those of you interested in scrapbooking or simple crafts. Finally, after some sewing magic, my new clutch bag!